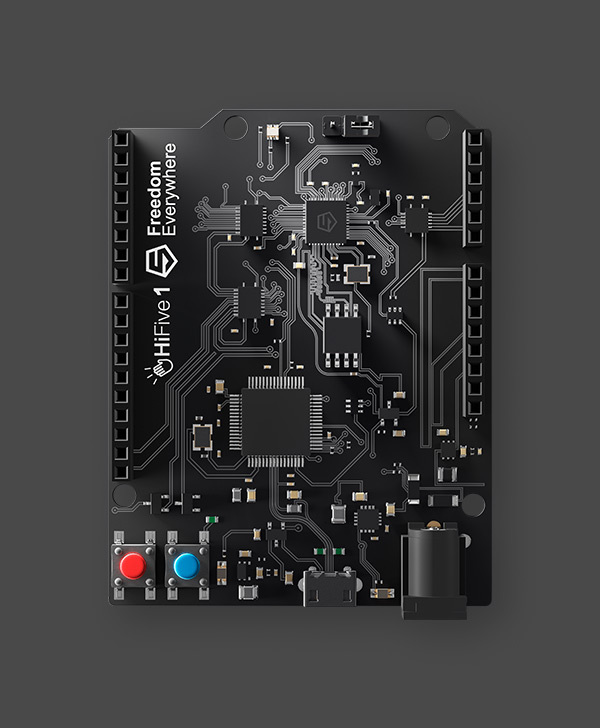 HiFive1 Rev B is an upgrade to our low-cost development board featuring the Freedom E310. It’s the best way to start prototyping and developing your RISC‑V applications. HiFive1 is a low-cost, Arduino-compatible development board featuring the Freedom E310. It’s the best way to start prototyping and developing your RISC‑V applications. 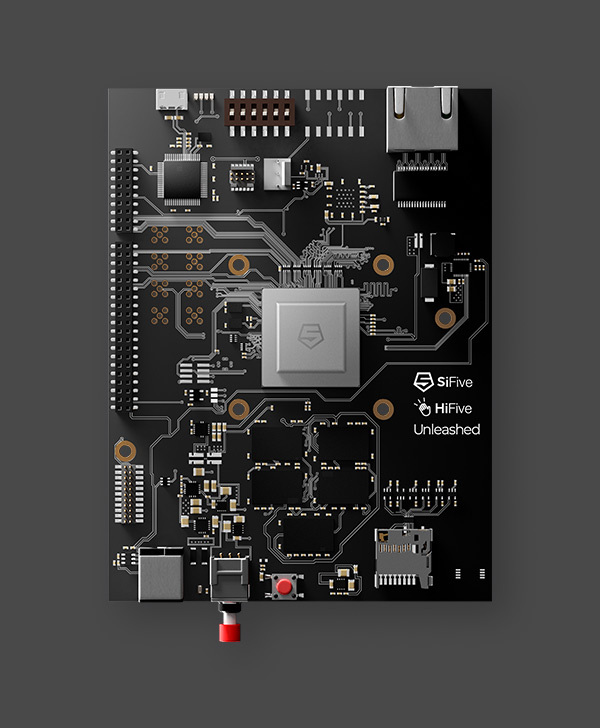 HiFive Unleashed is the ultimate RISC‑V development board. Featuring the Freedom U540—the world’s first-and-only Linux-capable, multi-core, RISC‑V processor—the HiFive Unleashed ushers in a brand-new era for RISC‑V. 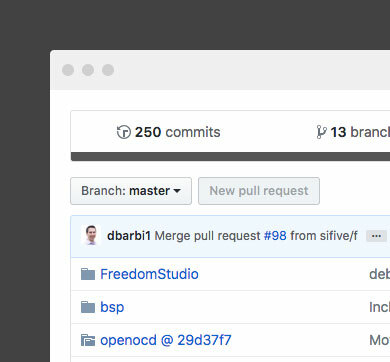 Freedom Studio is the fastest way to get started programming with your SiFive hardware. Freedom Studio is built on top of the popular Eclipse IDE and packaged with a prebuilt toolchain and example projects from the Freedom E SDK. Freedom Studio is compatible with all SiFive RISC-V development boards. The Freedom E SDK is a repository of demo programs, industry standard benchmarks, and board support packages (BSPs) for our hardware platforms. Running benchmark code on our development boards is as easy as building a single Makefile target. Save time by using one of our prebuilt toolchains which contain all the tools necessary to compile and debug programs on SiFive products. Our toolchain distributions have been carefully packaged to support both 32-bit & 64-bit ISAs. A vibrant third-party ecosystem has evolved around the free and open RISC‑V ISA. The following tools are not developed nor maintained by SiFive, but may be worth considering for your next project. GNU MCU Eclipse is an open source project that includes a family of Eclipse plug-ins and tools for multi-platform embedded development, based on GNU toolchains. The RISC‑V architecture is fully supported, and the Eclipse plug‑ins allow users to create and build C/C++ projects. 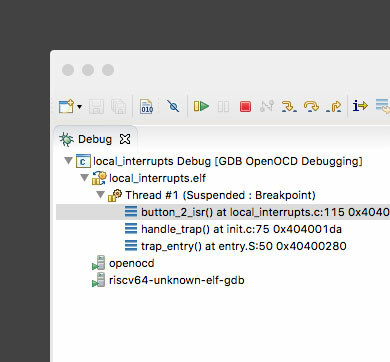 The debugging plug-ins support SEGGER J‑Link, OpenOCD, and QEMU—and include a detailed peripheral register viewer. The TRACE32® user interface and base modules support most available processor architectures. TRACE32® tools are applied in the pre-silicon phase for virtual prototyping and provide a seamless transition throughout all subsequent development phases leading to mass production. In October 2017, Lauterbach and SiFive announced TRACE32® support for RISC‑V cores. SEGGER Microcontroller is a supplier of software, hardware, and development tools for embedded systems. SEGGER offers support throughout the development process with easy-to-use tools and middleware components. Embedded Studio - The leading cross-platform IDE for embedded C/C++ development. Available for Windows, macOS, and Linux. J-Link - With unparalleled performance and an extensive feature set, J-Link offers the world’s most widely-used debug probes.